Technical - Rebel Wire Harness diagrams and wiring info | Page 10 | The H.A.M.B. Terminal ground strip for gages & under the dash purposes is the way I'm doing mine. I machined up a nice bracket, I have 2 terminal strips mounted to that (back to back) and the bracket mounts to the underside of the dash. One is for gauge power, the other is for gauge lights. I have common jumpers where I need them. I'll try to take a picture of it. Discrete grounds are here and there, I didn't have that many to make those common, but not a bad idea. Blown fuse issue on late model truck at work, prompted to use a new tool we bought. From the folks over at Power Probe, they offer this really neat and easy to use, short/open finder. Not cheap, but if you are a professional technician, could pay for itself in a “short” period of time. Chevrolet truck in question, wound up needing a new fuse block. Common problem on these late models GM. alanp561 and REBEL43 like this. Nice! I remember using my Power Probe III on a Pinto engine. The key did nothing, no click, starter, or anything. I probed the engine block and it lit up red on the probe, showing voltage? Then I realized it was showing me a bad ground. cleaned up the block and ground cable, It showed a green light, engine turned over fine. I just had to realize what it was trying to tell me. JeffB2, jakespeed63 and alanp561 like this. Figured I'd post a picture of the fuse panel with dimensions, in case anyone needed it. This is for the 9+3 and 16 circuit kits. For the 8 circuit kit, take away a fuse block. For the 21 circuit kit, add a fuse block. So give or take about 7/8 of an inch either way. AHotRod and bobss396 like this. This gizmo must be ok, nobody has mentioned that you should have a better one. Guess that correction will be posted after someone here goes out and buys one. one of the best tools to have when wiring. Fantastic thread! I got my introduction to wiring when the alternator wiring on a '67 Chevy truck let ALL the smoke out while I was bent over the radiator support working on the carb. Note- you cannot breathe that crap- trust me, I know it for a fact. I fixed it and realized that I actually enjoyed chasing electrons. Anyway, that led to wiring Harley's and custom bikes as part of my job wrenching at a bike shop and eventually wiring my '51 Chevy coupe (gone but not forgotten) using a Painless universal kit (good quality but damn, it was pricey!). 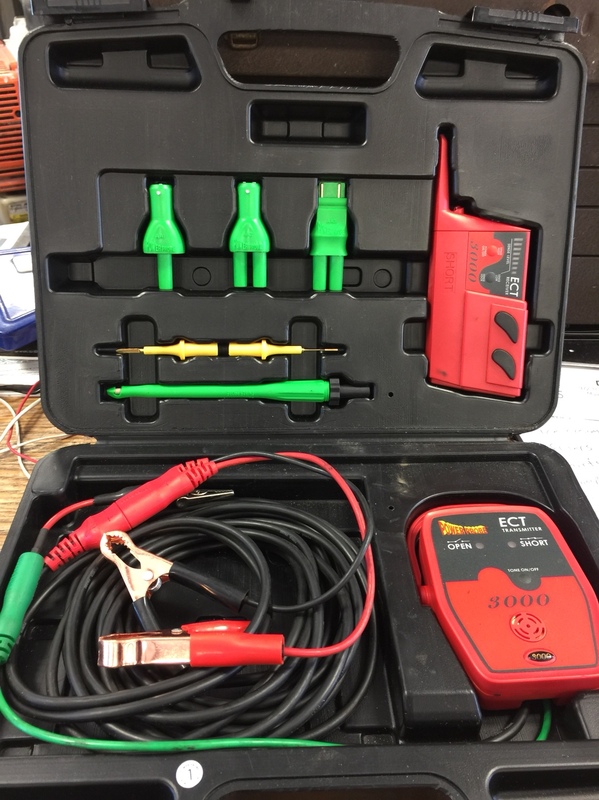 Electrical doesn't scare me anymore but I am still learning as I go and this thread has LOTS of great information in it! And Rebel43 I want to thank you for spending some of your valuable time spreading your knowledge and answering all these questions; folks have to remember that you don't have to do this, I am positive that you could be spending that time running your business or with your family. You can be sure that I will be getting the harness for my '51 Ford sedan from you in the next month or so and I'll refer everyone that I know to your company! Thanks again! jakespeed63, 325w, Cosmo49 and 1 other person like this. Sometimes we get guys that want to mount the fuse panel in another location, maybe not the trunk, but under the seat, or over on the right side of the car. Here's a solution for that. It also shows that not all the wires go to the fuse panel, just the power wires. Most of the wiring bypasses the panel and just runs from your switches out to whatever it's controlling. jakespeed63, AHotRod, greaser and 1 other person like this. I talk a lot of people out of the big 21 circuit kits, because most people don't need that. In the beginning that's all that was out there. We can build just about whatever you want. The little 4 fuse kit basically just covers lights, signals, gauges, horn, and 1 keyed hot accessory. Are you running turn signals? Yes, If No, then you can use the rear turn signal wires as the brake lights. What about Wipers? No, but I might use one of those cigarette lighter plug in wiper units or something else down the road. Ok, we've done away with 3 18ga gauge sender wires, maybe 2 front turn signals, and possibly 1 keyed hot power wire. If nothing was left out. Like when you go to sell the car and the buyer says, "I'd like a heater". But still, if you want it, we can build it. What we had to do was see which terminals had continuity and when. I drew it out and labeled them something like A1, A2,A3, B1, B2, B3 (A's across the top and B's across the bottom) and went from there. Here's how it worked out. So it was something like this and I think if you look, Crazy Steve has posted a write up on this before. This is how I worked it out with the customer. Both contained B2 as a common, So I labeled it as my flasher wire. That left me with A2 (top center) to call my brake wire. To test that theory, With the switch in the center (off) position, my brake wire A2 should have continuity with two of my left and right turn wires, but not all of them. A test revealed that A2 had continuity with B1 and B3 when the switch was in the off position. So that told me that B1, previously labeled Right, was actually Right Rear, making A1 Right front by default. Same went for the left turns, with the switch in the (off) position, A2, my brake wire, had continuity with B3. Making B3 my left rear, and making A3 my left front by default. This gave me what all 6 terminals were, and we wired them up that way just to be sure. Everything worked. It does help out draw it out and think it through while you're reading, but once you have the process down, and a good switch, you can figure it out. So I had a couple questions about wiring a Ford starter solenoid this morning. Your solenoid is basically a heavy duty relay. A relay takes (power in, usually battery power) (power out, to the starter in this case)(a hot "trigger") and (a ground "trigger"). When the hot and grounds are triggered, it closes some contacts and allows power to flow from the battery out to the starter. On this solenoid the ground trigger is the mounting bracket and the hot trigger is provided by the switch or push button. When both are present, power flows and engages the starter. Let it be known that this isn't my diagram, but It was a very good example and I thank whoever made it! So if you had a push button that could only send a ground (like an older Ford) this setup wouldn't work. Sure you could insulate the base and run a hot to it, using the push button to complete the ground. Wire in a relay to change the ground signal from the button to a hot. Change out to a ground triggered solenoid, or a 2 wire button that sends a hot...there are ways around it, but you have to start by knowing what's required to make it work, and what your switches and buttons are capable of. AHotRod, TagMan and firstinsteele like this. I know It's going to be more work, but do you guys think this type of information would be better divided up? Like a bulb wiring thread, turn signal thread, Ignition switches... Something like that? I know all this tech just gets buried and none of us want to scroll through all of it looking for what we're needing. Granted they won't grow as fast, I do still have some wiring kits to build. Thoughts anyone? Just one guy’s opinion: We appreciate your effort to share your knowledge, and I would never ask you to put more into it. I found this with a Google search and assume most people will find it the same way. **If you want to get fancy and help your posts show up better in a google search, consider adding tags at the beginning of the post. Just keywords like the categories you mentioned might do the trick. TagMan, REBEL43 and Nostrebor like this. Are there any links you know of where someone installs a 9+3 kit in a car similar to my 26 T roadster pickup ? I pulled my kit out over the weekend and I'm wondering about things like the mass of wires coming off the bottom of the fuse block that make it pretty much impossible to mount it using the tabs with holes molded into the side of it. I'm also curious on things like wire routing etc., etc. Maybe I'll just dive in and figure it out as I go, that's usually the operating procedure. Personally I like everything in the same place. I think it gets even harder to find stuff if you have to search or watch 10 threads about essentially the same subject. On the other hand, wiring systems can be intimidating to many, and a ready made panel takes a lot of the mystery out, even if you don't use all the circuits. Which is the best approach? Which is more economical time and money wise? The answers rest with your understanding and skill level. I am lazy. 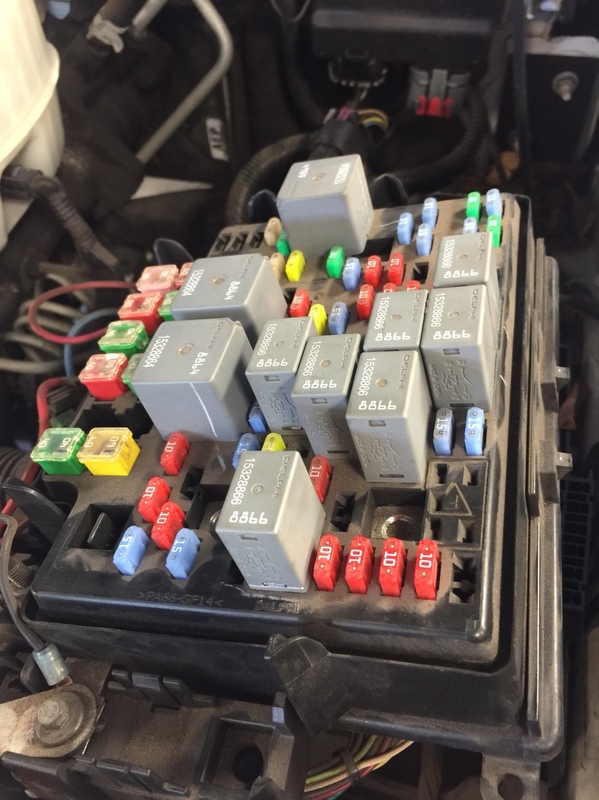 I have wired a car from scratch running one circuit at a time with a home made fuse panel for circuits I thought needed fuses. What with buying wire with the available 2 colors at the local store and the other attachments that had to be done, I found it so much easier to use one of the prewired color coded systems. Less time, less aggravation, and looks nicer. And easier to troubleshoot down the road. AHotRod and 56don like this. Not sure if I’m answering your question. I bent up a little bracket and plug welded to the inside of the firewall... it lets the 9+3 “stand off” the firewall and lets all the wires tuck behind it. If that’s what you’re asking let me know and I will go out and take pic. That bracket is also a spot to mount the trailer light turn signal thingie that we talked about early in the thread. @Blue One here is my bracket. The 6 holes correspond to the 9+3 holes, just bolt ‘er on. I intend to bring the wires down from the top. The bracket folds are 3/4” and that’s plenty for the wire to run behind the circuit panel. This is in a Model A pickup. Not quite as tight as a T but close. I haven’t started wiring this pickup yet but in my 64 Merc I installed a 9+3 in exactly the same manner: worked ok.
REBEL43, RICH B, 56don and 1 other person like this. Thanks, I kind of thought I’d end up doing something like that. I’m going to tackle it soon and see what I come up with. Here's a couple pictures of a 9+3 panel mounted to a display board. It's pulled down flat, with no standoffs or spacers, the board is carpet covered. The SXL wire is very pliable. AHotRod and Blue One like this.